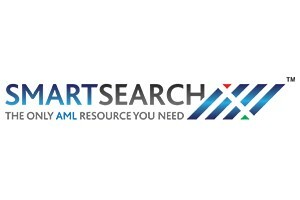 SmartSearch is a unique Anti Money Laundering (AML), Fraud Prevention and Know Your Customer (KYC) platform which incorporates fully automated Sanction, PEP, SIP and RCA screening, along with Daily Monitoring. The SmartSearch platform is a “one-stop-shop” platform to verify both Individuals and Businesses in 3 seconds and 2 or 3 minutes respectively. We continue to innovate in this specialist area creating the very best AML, Sanction & PEP screening technology. The latest version of SmartSearch incorporates a number of unique features such as automated “Sanction and PEP Alerts” that are emailed to the MLRO and /or the Compliance Team. Daily Monitoring of our client’s customers against any Sanction and PEP changes ensures you and your business remains fully compliant and protected for the life of your contract. Where a Sanction or PEP match is encountered SmartSearch collates and presents Biography information, Adverse Media and Photographic Evidence to enable automated or manual Enhanced Due Diligence. Our principal Data Partners are Experian, Equifax and Companies House. We also licence the Dow Jones “Watchlist” to support our Client’s Sanction & PEP screening, this comprises over 1,100 Regulatory Sanction & PEP Watchlists. SmartSearch already serves 1 in 4 of the top Law Firms and 1 in 3 Accountants use SmartSearch, over 3000 firms and 35,000 users.